Incipio products, the Design Series Hybrid Case for Samsung Galaxy S7. 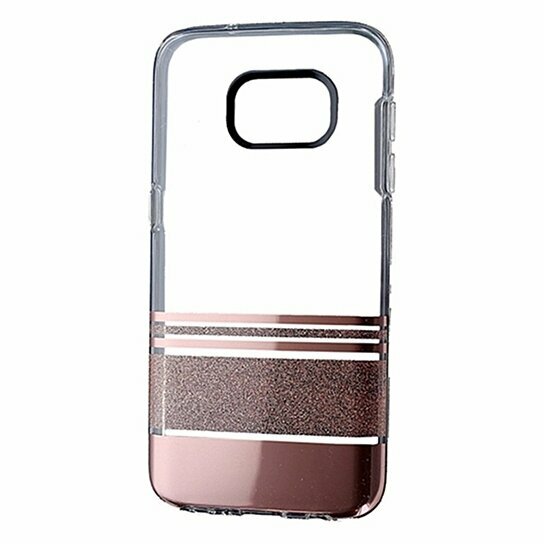 Transparent Clear hardshell finish with Rose Gold glitter stripes design and a clear shock absorbing border. Scratch resistant finish.